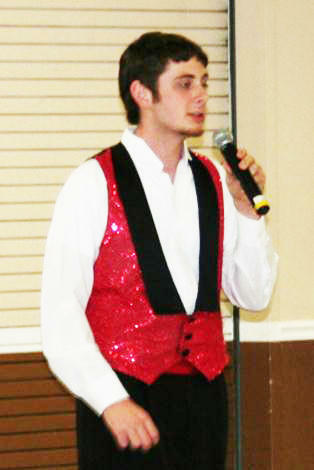 Cannon County 4-H Member, John Lenzy House, performs at the 2012 Wilson County fce Spring Luncheon. On Tuesday, May 1st, over 150 Wilson County fce members and friends gathered together to celebrate youth at their annual Spring luncheon sponsored by the Green Hill fce Club. The theme, "Tie One for 4-H" centered on the worldwide symbol of the home, the apron. Members were asked to submit their favorite apron prior to the luncheon. The aprons were used to collect "apron pocket donations" for the Wilson County 4-H Camp Scholarship Fund. Beautiful aprons reflecting a variety of colors and styles hung on clotheslines. Over 40 aprons representing various eras were on display. 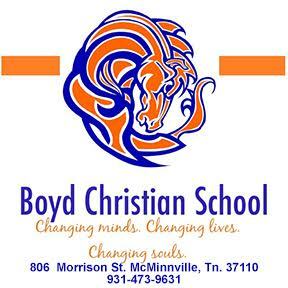 With this theme in mind, fce members were reminded of the beginning of fce clubs in Wilson County. When reflecting on the beginning of fce, it is hard not to think of the roots fce has in 4-H. Wilson County 4-H, like many other 4-H programs, began with corn clubs for boys and tomato canning clubs for girls. It is because of those early efforts that became what we know today as 4-H that our rich traditions began. The young ladies that began as members of the canning clubs grew up and were still interested in learning new skills. Because of this interest, home demonstration clubs, or fce clubs as we call them now started in Wilson County. Next year will mark Wilson County fce's centennial. By taking the time this year and reflecting on the past and fce's beginning with 4-H, fce members will be able to focus on their future and the next 100 years during next year’s centennial celebration. Shelly Barnes, FCS Extension Agent and fce Advisor addressed the group about her own beliefs in the 4-H program, "As a former 4-Her, I believe in the 4-H program and that 4-H teaches young people essential life skills to become productive citizens. I truly believe that 4-H makes the best better. I am also thankful for 4-H and path it lead me to take. Because of my involvement in 4-H, I stand before you today learning and growing with you". In keeping with the overall theme of the day, Wilson County fce members hosted the TN 4-H Performing Arts Troupe as the program for the day. The TN 4-H Performing Arts Troupe is a group of vivacious high school teens who love to sing and dance! Members are selected by auditions from Tennessee's 300,000 4-H members. The Troupe has been a Tennessee 4-H staple for more than 10 years and focuses on performing a fast-paced show featuring music from Broadway show tunes to country hits of the past and present. The Troupe was created to provide teens with an opportunity to share their talents with others. They perform for civic groups, associations and the general public in order to display the life and vitality evident in 4-H. The Troupe is a great example of the many skills youth learn in the largest youth organization in the nation. Cannon County 4-H member, John Lenzy House, was the star of the show bringing beautiful vocals that would make Cannon County proud. "It was special to see a 4-H'er from home among the Troupe. John Lenzy did a great job by engaging the audience with his personality and charm," said Barnes. John Lenzy is the son of John and Rena' Peeler House and the grandson of G.L. and Kay Peeler, all of Cannon County. The 2012 fce Spring Luncheon ended with awards that celebrate the service fce members give to the Wilson County community. The highlight of the awards ceremony was the annual Outstanding Club Achievement Award. Each year, UT & TSU Extension in Wilson County recognizes one outstanding fce Club that has gone above and beyond what is expected. This award honors the club that has worked diligently to focus their efforts on community service and Extension involvement. The Tuckers Crossroads fce Club was the 2012 recipient of this prestigious award. "This club has done an outstanding job of rallying their members and supporting their community though service. By working tirelessly to promote the mission of fce, they have strived to create opportunities for their members in a variety of ways" said Barnes. The Tuckers Crossroads fce Club focused on three service areas in 2011 including: making and donating walker bags for senior citizens in need, supporting the Wilson County 4-H program, and supporting the Wilson Books from Birth program. This club also volunteered for a variety of Extension related events and activities throughout the year. To end the day, Barnes shared a quote from Franklin D. Roosevelt, "We cannot always build the future for our youth, but we can build our youth for the future." Wilson County fce Club members are working toward this goal. By investing in our youth, fce members are taking an active role in investing the future of fce. For more information about this event, please contact Shelly Barnes, FCS Extension Agent in Wilson County at 615-444-9584. For more information on 4-H in Cannon County, please contact Heath Nokes, 4-H Extension Agent at 615-563-2554. Special Note: Shelly (Phillips) Barnes is a former 4-H member of Cannon County. Barnes is the daughter of Larry and Brenda Phillips of Bradyville. Barnes is currently the Family and Consumer Sciences Extension Agent with the University of Tennessee Extension in Wilson County. Barnes recognizes that her involvement in the Cannon County 4-H program sparked her interest in becoming an Extension Agent. She explains, "The Cannon County 4-H program is and always has been an outstanding youth organization that promotes life skills and unique opportunities. 4-H leaders in Cannon County taught me essential skills that made the transition from high school to college easy. I cannot imagine where I would be or what I would be doing without the 4-H program. I am most thankful for the staff at UT Extension in Cannon County for investing in my future." Barnes currently resides in Alexandria, TN with her husband, Johnny Barnes, who is also employed by UT Extension in Wilson County as the 4-H Extension Agent. Congratulations John! Sounds like you "done us proud." Congratulations John!!! I know your mom and dad are so proud of you!!! John Lenzy did a great job!